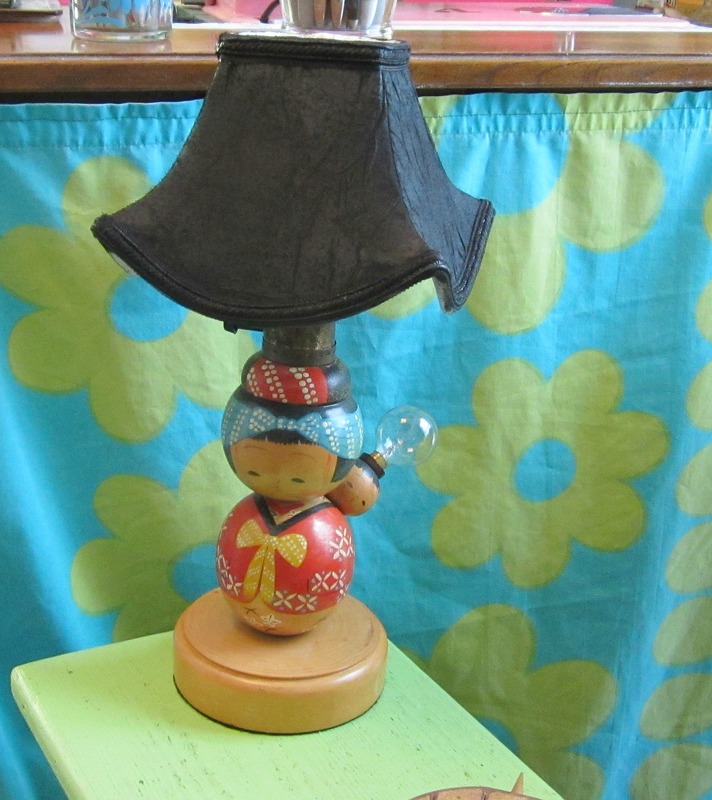 I purchased a wonderful vintage kokeshi lamp recently at an estate sale. I was told it is from 1941. It’s so sweet, she has a swaddled baby on her back and baby is a little night light. 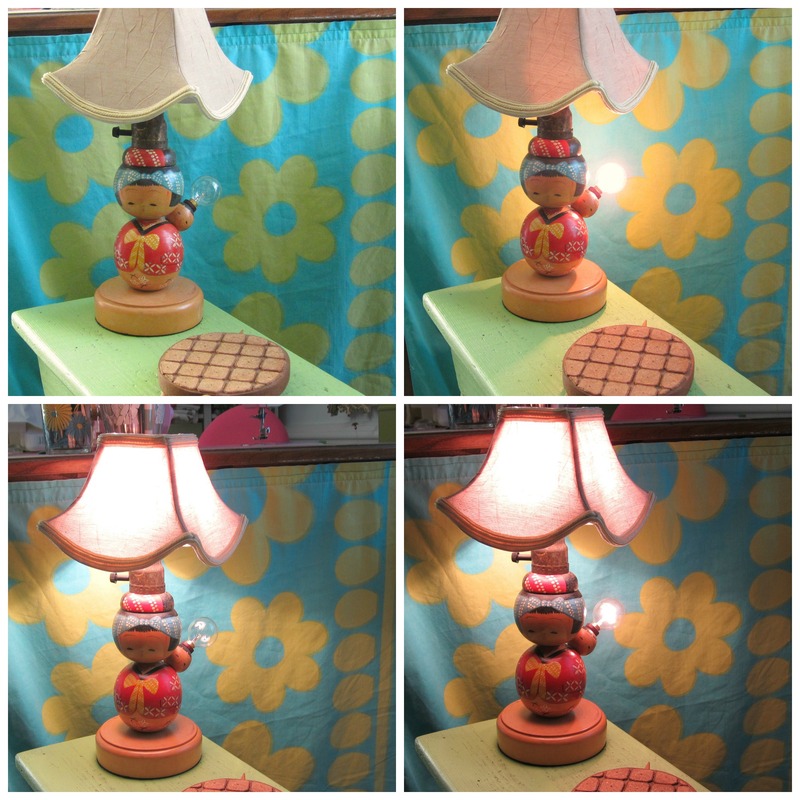 It needed a bit of work and luckily for me I have the most fabulous vintage lamp shop right in my hood. You may remember when I blogged about it here. They fixed her up beautifully with a three way switch. First turn is the night light, next turn is the lamp and third turn is both. We all agreed at the lamp store that this little shade was perfect but it needed to be black. So out came the spray paint.